Today, we build and play BlackJack game. 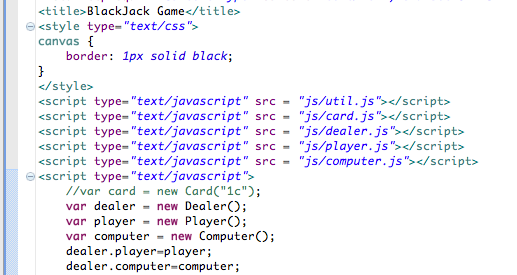 index.html -> head section -> <script> tag : create dealCard function to handle event when player click "Deal" button. And index.html->head section -> script section : define 2 functions for stand() and repeat() for player when player choose stand button or repeat button. 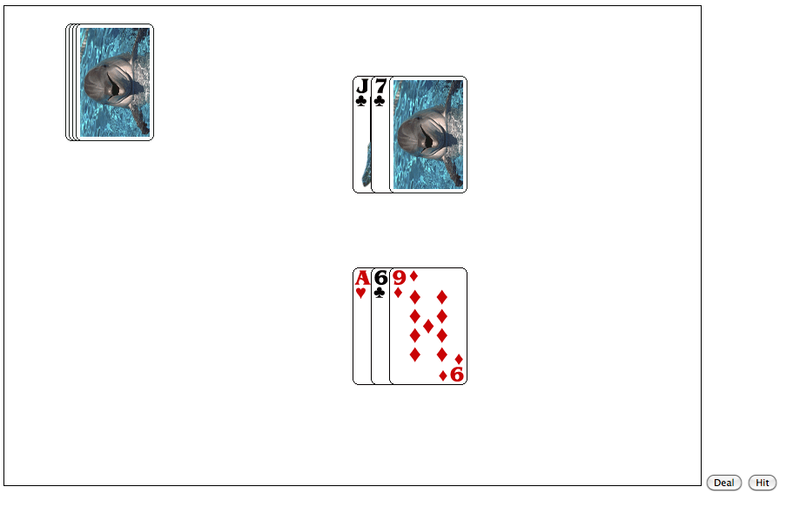 this.shuffle();//recall shuffle() method to shuffle cards. It's demo. 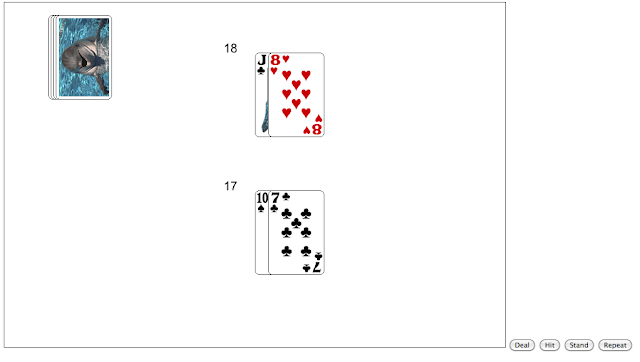 To better, you need set rate and blackjack game rule to exactly.